COMPLY2019 is the largest Compliance and RegTech Conference in the U.S. bringing together the most comprehensive gathering of regulators, innovators, legal and compliance professionals and investors from across the globe. Now in its fifth year, COMPLY gathers the best and brightest in the industry for 2 days full of collaboration, insights, best practices and networking. 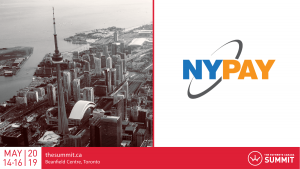 NYPAY is a proud media partner of COMPLY2019 and wants you to join us there. Use our code NYPAY250 for $250 off the current ticket price and meet us in NYC!